If you’re like most of our clients, your community welcomes growth and expansion. The ability to control water quality, recover from the effects of aging infrastructure, accommodate increasing regulations and find the right people with the right experience can facilitate that growth, or hinder you from enjoying it. This is where PeopleService comes in. 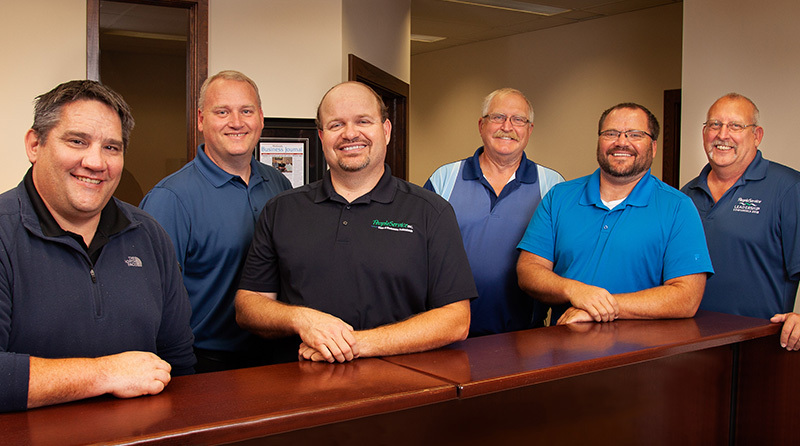 Since 1988, we’ve been operating systems for clients in the Midwest. We deploy professionals onsite who are educated, trained and certified in the specialty of water and wastewater operations and management. They stay apprised of the latest regulations and they continually update their knowledge and credentials so that your plant and your community meet and exceed what is necessary to grow well into the future. From program implementation to regulatory compliance to billing, we’ve got your back. Partner with PeopleService professionals and you gain the personnel necessary to operate facilities. With water that includes production, treatment, storage, distribution and metering. With wastewater that includes collection systems, lift stations, treatment plants and biosolids land application programs. The goal is optimum performance and system integrity, within your budget. We also provide technical training to the water/wastewater operators on site about the treatment process, preventive maintenance techniques, safety awareness and the continuing education units (CEUs) necessary for the operating personnel to maintain their licenses. PeopleService monitors, samples, analyzes and reports as required by the regulatory agency in matters related to the water and wastewater permits under which you operate. Reporting and metrics keeps everyone informed. Our operators provide everyone responsible for water and wastewater quality in your community with monthly operating reports on projects accomplished, flows at the facility, lab results and maintenance performed. This keeps everyone informed and alleviates surprises. We hate surprises. Development, implementation and ongoing maintenance of water, wastewater and wastewater bio-solids programs. Prepare and submit the necessary reporting and documentation for regulatory requirements, Consumer Confidence Reports and permit renewals. Establish and implement proper safety practices. Establish and implement required water and waste water testing practices. Ability to assist in developing and maintaining proper rates and provide billing for water and sewer services. Capital improvements assessment and O&M budgeting assistance. Keeping your infrastructure in excellent condition saves you time – and money. And, it’s just too important to the big picture to let slide. PeopleService is known for our collaborative partnership with the people responsible for water quality in communities.